1. Is there anything this Scarborough, Ontario born and raised woman can not do? Lilly Singh, who is now 30 and from a traditional Punjabi family, was leading a fairly ordinary life, until in October 2010, she started a YouTube channel under the pseudonym "IISuperwomanII". She has explained that the name Superwoman was prompted by a childhood idea that she had an invisible "S" on her chest, making her believe she can do anything. Punjabi culture is frequently portrayed in her videos, which also contain satirical takes on everyday life and people's favorite complaints. Now, only 8 years later, she has just been announced to replace Carson Daly as the host of NBC's 1:35 a.m. talk show. The retitled "A Little Late with Lilly Singh" will launch in September, and as noted by NBC, will make her the only female to currently host a late-night talk show on one of the Big 4 networks. Do you know who she is and are you one of her (many) fans? 2. If you don't know who she is, here is just a small resume of what she has accomplished in the eight short years since she first launched her YouTube channel, in 2010. Are you familiar with her from any of these projects? 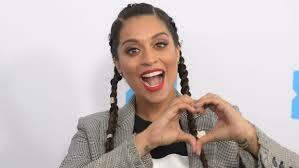 As one of the most successful and lucrative YouTube stars ever (where she's known as IISuperwomanII), Singh has amassed more than 14 million subscribers on her channel. She has appeared as an actress in films such as "Bad Moms," "Ice Age: Collision Course," and HBO's "Fahrenheit 451." She starred in the YouTube documentary "A Trip to Unicorn Island." She has recorded songs in both Punjabi and English, and has collaborated with artists In Jassi Sidhu, rapper Kanwer Singh, and Sickick, among others. 3. Here are some interesting facts about Lilly you may not know, even if you are a fan. How many of these did you know? Lilly started her YouTube channel to combat depression. While in her senior year of college her grandfather passed away leaving her extremely depressed. She started uploading videos to YouTube and decided to pursue it as a full time career. She is the first South Asian comedian on YouTube. There was really no one like her when she started.